The Create a new record command or Quick create makes it fast and easy to enter almost any type of information into the system. The command is on the nav bar, so it’s available whenever you need to enter new information into the system. When you use this option, you need to complete only a few fields. Later, when you have more time or information, you can fill in more details. 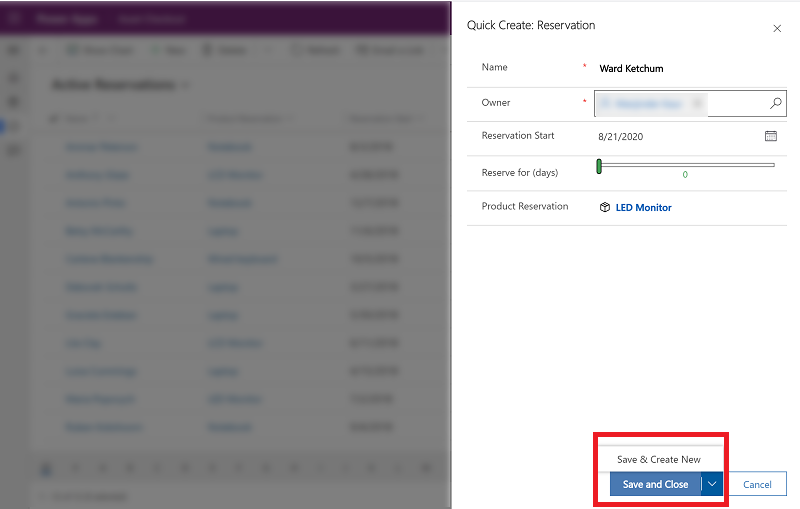 The Quick create option is only available for records that are enabled by your admin. On the navigation bar, select the plus sign , and then select the item you want. Fill in the fields, and then select Save and Close. An asterisk next to the field on the screen means the field is required. If you select Save and Close before entering required fields an error message will be displayed or if you have entered information and select Cancel a warning will be displayed. A plus sign next to the field on the screen means your organization recommends that you fill in the field.